Has anyone tried this? It retails for $2.99 so I ordered one. 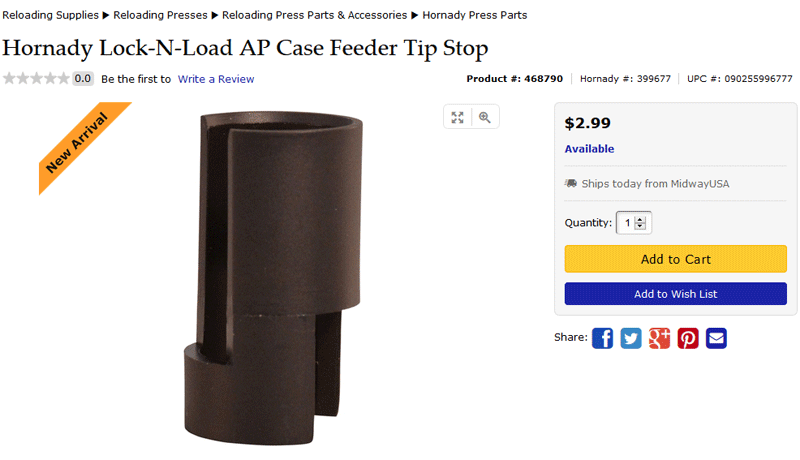 I used a file to work on the profile of the case feeder feet and now I don't have much problem with tipping but I still have issues with some cases not sliding all the way into the shell plate. I made my own and Hornady make it in plastic. If you are interested PM and I will send your photos and videos.